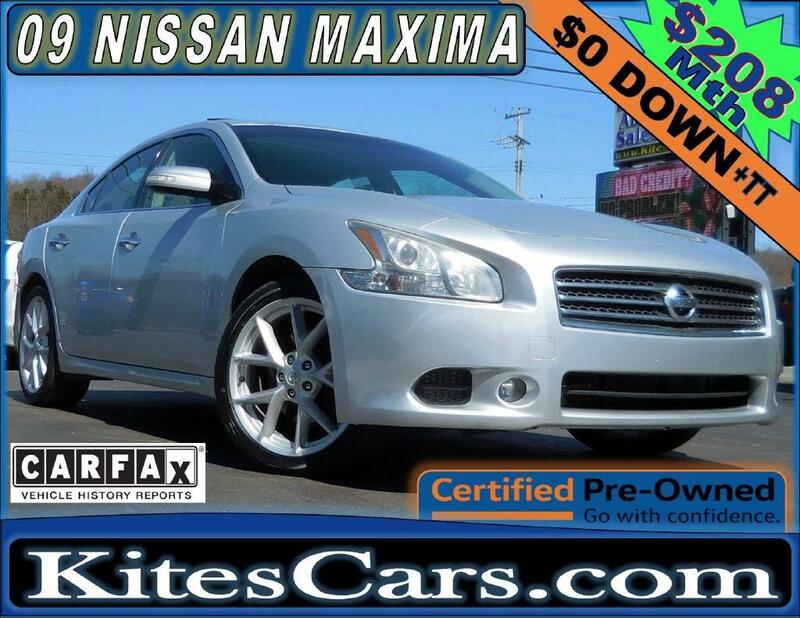 2009 NISSAN MAXIMA WITH 112,000 MILES, COMPLETED A 125 POINT INSPECTION AND CERTIFICATION, INCLUDES A WARRANTY, CALL FOR AVAILABILITY IF TRAVELING LARGER DISTANCE TO US, FOR SALE at KitesCars. Payment listed is based off Tier 1 credit with $0 down @ 6.25% for 48 payments. YOU ARE RESPONSIBLE FOR THE TAX & TITLE BUT WE CAN FINANCE IT INTO THE LOAN IF NEEDED. Other programs available outside of area. BAD CREDIT OR NO CREDIT - YOU CAN BUY THIS TOO AND BUILD YOUR CREDIT. WE HAVE GUARANTEED CREDIT APPROVAL SYSTEM. Apply for financing on our web site and Ill fit you up personally with the best financing to fit your needs. Call for availability, we have cars shipping in daily and may be waiting on this to arrive. ((SPECIAL PRICE IS BASED ON APPROVAL FOR CONVENTIONAL FINANCING, SPECIAL PRICE IS AVAILABLE TO SUBPRIME FINANCING THAT MAY REQUIRE LARGER DOWN PAYMENT.) RATE, TERM AND PAYMENT SHOWN ARE ESTIMATE ONLY. Visit Kites Cars online at kitescars.com to see more pictures of this vehicle or call us at 814-382-1177 today to schedule your test drive. Message: Thought you might be interested in this 2009 Nissan Maxima.